We have “flown” with the Blue Angels, the Patrouille Suisse and even in a P-51 alongside an F-22 using 360° video technology. 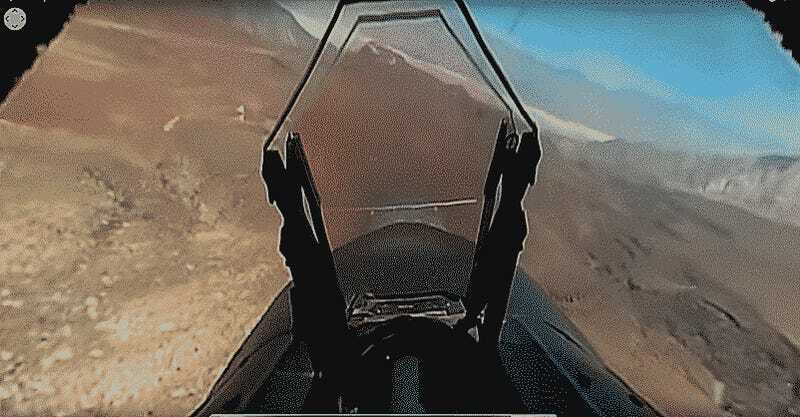 Now we get to see the what it’s like being launched off an aircraft carrier and flying at high-speed over the desert floor in an F/A-18 Hornet. Now we head out for a low-level sortie over the R2508 range complex that runs from Edwards AFB to NAWS China Lake. At around 2:40, we get to ride through the Jedi Transition. 360° video technology is just hitting the consumer market and its only improving in quality. I see it increasingly taking us into the most amazing military machines and to the most amazing places imaginable, but these videos show we’re off to a damn good start.